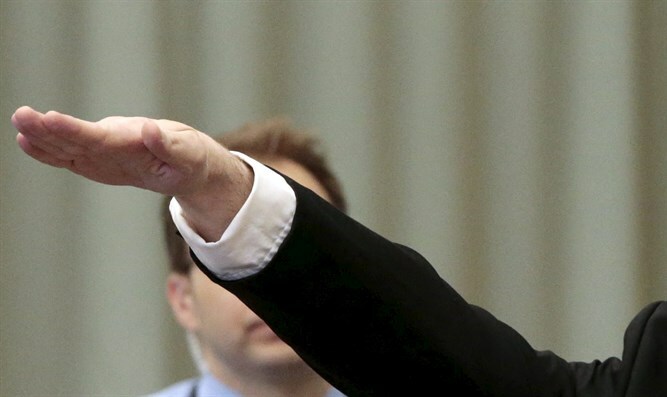 Lithuanian entertainment program "Guess the Melody," which aired on the LRT national TV channel, closed after Lithuanian actress ASTA Bayote was seen doing the Nazi salute on air, the channel's Acting Director General Rimvydas Paleckis told reporters. "When I found out about the episode of the program 'Guess the Melody' and the comments associated with it, I saw the (episode). I’m shocked. This behavior is not compatible with the values promoted by LRT. As responsible for the channel program and acting Director, I apologize to our viewers. We informed the General Director about the incident, and he decided immediately to stop running the program. On Saturday, the TV show will not be held. Gear is already removed from your library LRT," Paleckis said. On Saturday morning Bayote commented on their behavior. "If you are looking for out of the blue conflicts, then look for them elsewhere. It is entertainment, not a political one," said the actress, who said she was surprised the program was canceled.